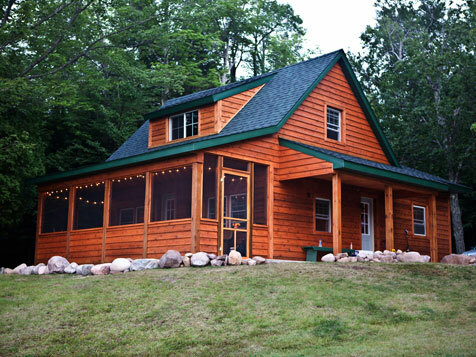 The Britton family had a choice to make: attempt to fix up the cabin that had been in the family for years or tear it down and build a new cabin. They pulled the grandparents, parents and kids all together and had a family meeting. The consensus? Fix it up! 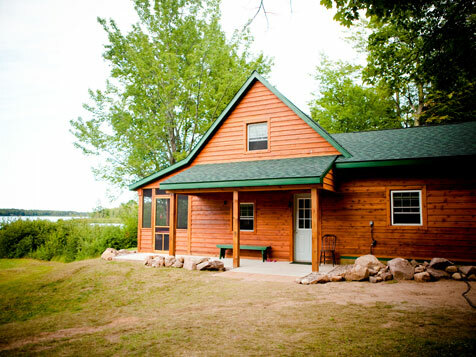 The thought of tearing down the cabin that held so many memories of summer get-togethers was not an option. They began to contact contractor after contractor and every time the words were spoken, “Tear it down and rebuild new”. One last attempt put them in touch with us at IHS Building Company. After meeting with the Brittons it was clear that their hearts were forever tied to this cabin, this old worn down cabin. We knew we had to somehow restore, repair, rebuild this cabin to “new” but yet keep the heart of the cabin. How would that be possible with its crooked walls, its rough uneven log siding, and its faulty foundation? Simple, one step at a time. 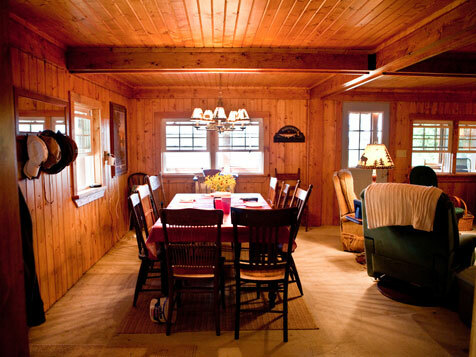 First we began by adding a 12′ x 24′ addition to the back of the existing cabin and added a new screened-in front porch. We repaired the roof system where needed and re-shingled the entire roof. Then installed new soffit and fascia and repaired the foundation and brought it up to current building code requirements. Then the challenge; install cedar siding over the existing walls that were made from what appeared to be random trees you’d find while walking in the forest. There was absolutely no flat surface and the logs were all different shapes and sizes (check out the before photos!). Slowly we leveled each wall and installed the proper nailers to attach the cedar siding. Wall by wall it began to come together. The Britton’s provided some helping hands on the inside remodel and we assisted as needed. On any given day you would find several boats out on the lake parked in front of the Britton’s cabin literally watching the transformation that was taking place. One thing we learned while working for the Britton family is that the heart of the cabin really wasn’t the cabin itself but the heart of the family that lived their lives in that cabin. It was an absolute pleasure to work for them and an honor to be allowed to be a part of their annual family summer get-together. Remember all things are possible with a little faith, hope and love!